Marie Johns graduated in BA Philosophy and Sociology from Exeter in 2017. She’s currently the Survey Project Officer (GBP) here at the University. 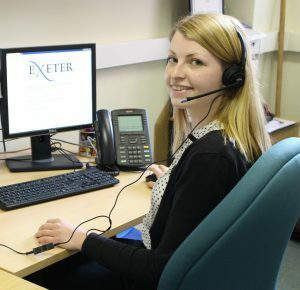 During my final year at Exeter, I was pleased to discover that the Career Zone is available to graduates for three years after graduation. I’ve certainly been taking advantage ever since! In particular, online resources from new platform My Career Zone Digital have been extremely useful in helping me to understand what I want from a job, make successful applications, and ultimately secure employment. Since starting my job, I have enjoyed browsing the resources available for graduates who have entered the workplace. Below, I have compiled a list of my favourite resources from My Career Zone Digital, for graduates at any stage of their career journey. The Elevator Pitch Builder is a great tool to get you used to talking about yourself by teaching you how to create an effective professional summary. Not only does this help you to develop self-awareness of your strengths and ambitions, but it will help you to talk confidently about yourself in applications and interviews. The Employer Advice section of My Career Zone Digital contains a number of useful videos covering a range of topics. I found the Job Hunting videos well worth watching. As a recent graduate, I was new to job-hunting and the world of full-time work. It was therefore interesting to hear experienced employers talk informally about which attributes they look for in a new employee and think about how I could demonstrate these to make a good impression. I found the Interview Simulator to be a really useful tool for interview preparation as it includes many examples of questions you might be asked, grouped into categories. The fact that it allows you to record yourself giving answers enables self-evaluation and improvement and also helps you to build confidence in answering a variety of questions. I also like that there is a way of testing yourself and rehearsing a real interview by having a mock interview which you can either take without knowing the questions beforehand, or create yourself. The IT Skills Courses are a great way to brush up on those Microsoft Office skills you haven’t used since GSCE! You can set the course to fit your preferred level of ability (beginner or intermediate) and you have the choice to either actively participate in the tutorials, or to simply watch videos of someone else performing the tasks. My current role involves a lot of work on Excel, which I’d not used extensively before, and I found this course was the ideal way to increase my confidence for the tasks required of me. The Career Skills Section is great for those, like me, who are in work. There are lots of resources available under sub-headings such as Balancing Work and Life, Being More Productive and Improving Workplace Skills which I have often drawn upon to help me adjust to everyday workplace challenges. It is great to know that these resources are available to me as my career progresses over the next three years. 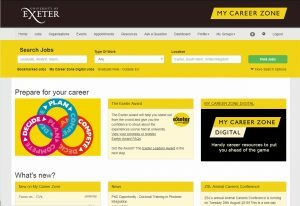 My Career Zone Digital is there to support you whatever you’re doing now or hope to be doing in the future. There is also a new weekly newsletter you can sign up to which means you can keep up-to-date with new content that’s added. I fully recommend that you take advantage of these resources just as I have. Good luck!